This past Sunday your Washington Redskins played with heavy hearts as they took to the field to honor their slain teammate, Sean Taylor - #21. In the end the Redskins could not withstand a late 4th quarter surge by a youthful and resilient Buffalo Bills team, which may have ended their post season playoff hopes. Under the circumstances, however, the Redskins played commendably, and the crowd was definitely the supportive 12th man that the team needed. "Wake Up And Stop The Violence"
Despite the cooler outdoor temperatures, there was a tailgate celebration to be had. So with a package of petit toasts and a delicious truffle mousse (no trans fat by the way), a bottle of Sunset Hill’s award winning Reserve Chardonnay 2006 was uncorked. 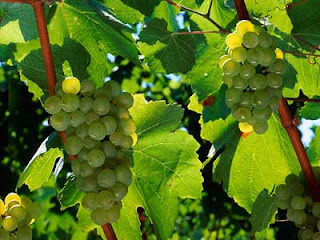 Chardonnay is one of the big six grape varieties of the wine world and is arguably the most popular white wine grape variety. It is very diverse and capable of producing high quality and elegantly styled wines. Virginia produces some great Chardonnay examples, and I find it to be one of the most consistent varietal wines from vintage to vintage. Although solid offering can be found here in Virginia, Chardonnay is as ubiquitous as the sun, and virtually every wine producing region makes a decent to outstanding Chardonnay. Some people say the best examples can be found in Burgundy (Montrachet and Meursault in particular in my opinion) and California (Sonoma Valley); however, if you have a chance, tilt your glass to what Virginia has to offer. You may just find a new wine region to add to your Chardonnay list. With that, let’s move on to the Sunset Hills Reserve Chardonnay 2006. For further winery information and to purchase Sunset Hill's wines, visit their web site or give the winery a call at 703.725.3546. 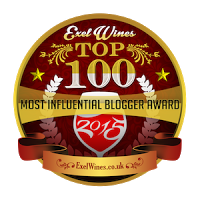 Stay tuned friends, I have more local wine news to deliver!